Yellow and teal have become a popular color combination for this years summer weddings. 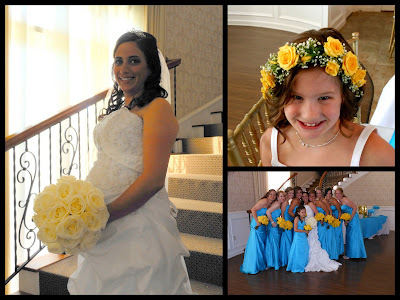 The intensity of the yellows against calming teal blues lends itself to be a very soothing and highly complimentary color pallet. 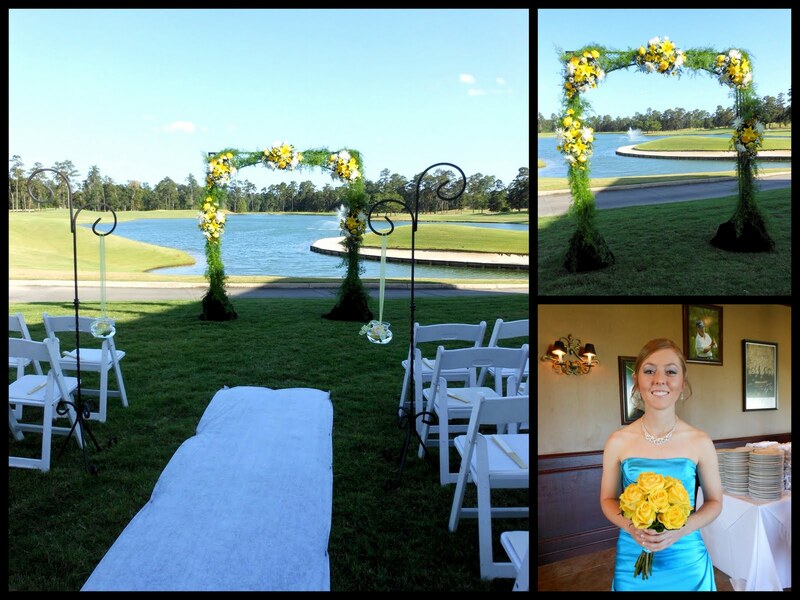 Overlooking the lake by the club house at Augusta Pines her outdoor ceremony had a beautiful backdrop. 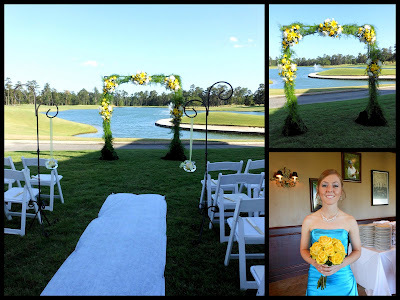 We used our wrought iron square arch covered in draping greens and yellow and white arrangements to give the couple a nice frame for the bridal party. 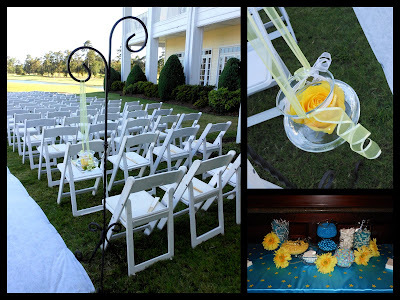 The aisle was adorned with curling shepherd hooks and hangning vases with floating yellow roses. 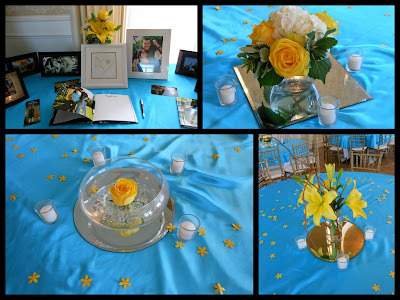 With accents of yellow blooms on her cake table and candy bar it was a the perfect contrast to the teal linens used throughout the reception. 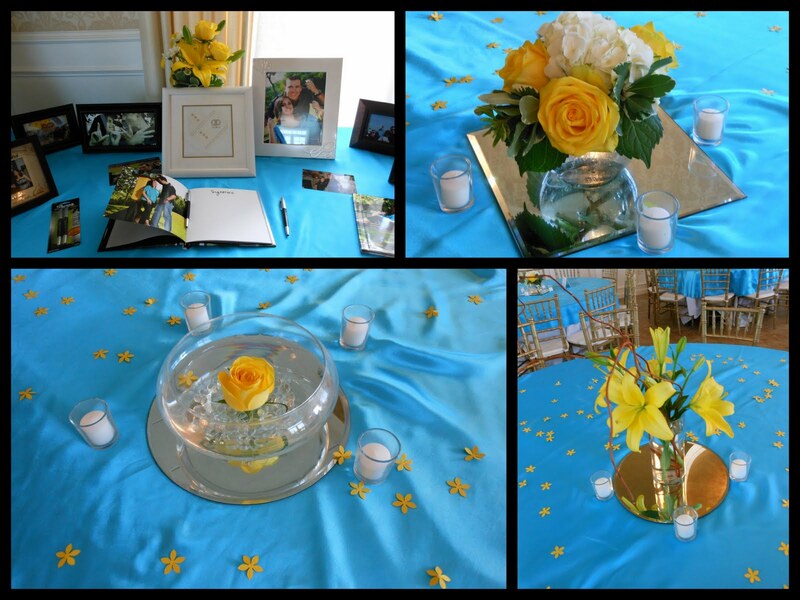 Her table centerpieces were a combination of 3 different designs using white and yellow blooms which added just the right amount of visual interest and depth to the room.